Hi friends! 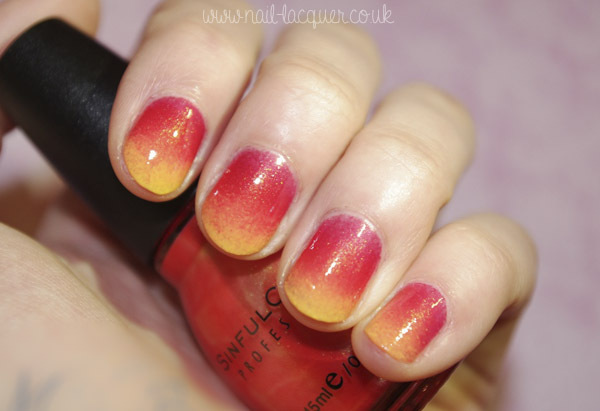 Today I am taking part of the She Who Does Nail Art challenge and the theme for this week is “Supernatural”. It took me 6 days to think what should I do this time as I have already done supernatural nails in the past. 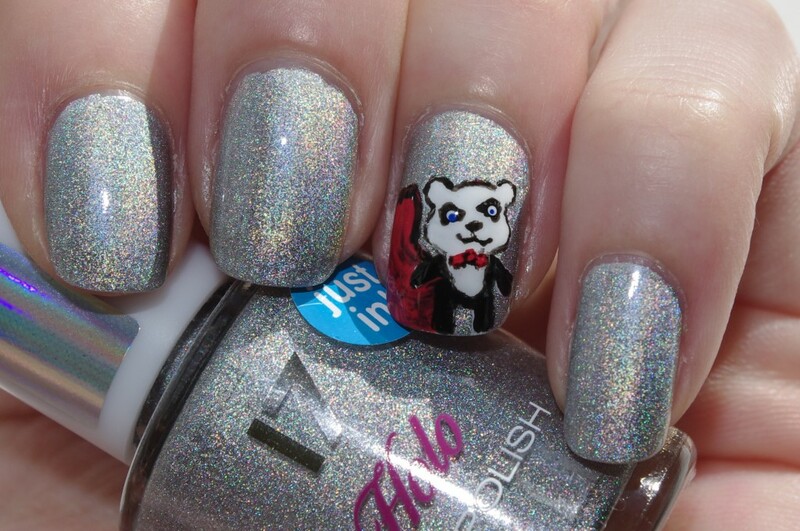 So I stumbled on this cute panda superhero and decided to go for supernatural panda nails. Holding 17- Holo nail polish. As you can see from the photo above I used 17- Holo as a base and then added the tiny panda using Sinful Colors- Snow Me White, L.A. Colors- Black Velvet and Barry M- Passion Fruit (this red is perfect for any occasion!). The panda looked really good until it was the time to add his blue eyes… unfortunately one of the eyes went a bit wrong giving the panda a crazy look. 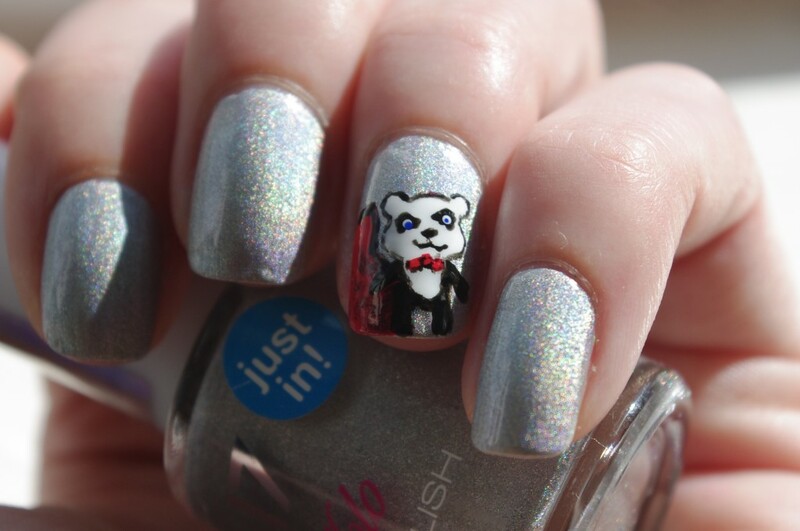 Hope you enjoyed my supernatural panda nails. This is my last post before going to holiday, I’m leaving tomorrow morning and I am not looking forward to the 3 hour drive to Manchester Airport :( and the 3 hour flight to Estonia. 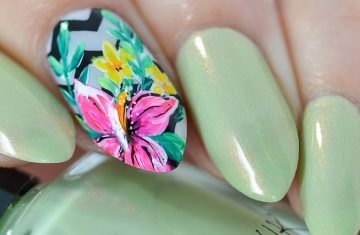 I have few posts prepared for the time I’m away and tomorrow’s theme will be “Estonian nails”. Thanks for reading ans enjoy the rest of your weekend! February 19, 2013 By A.J. September 9, 2018 By A.J.